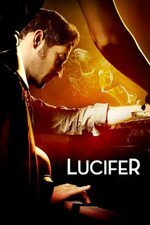 After talking to Lucifer and Linda, Maze realizes that she is looking for more out of life and decides to head to Canada for a tricky case. Den of Geek - Maze returns and sets out to find meaning in her life in the latest episode of Lucifer. OMG guys, it's the Equifax hackers! Outside of the bad so-called Canadian stuff, I enjoyed this episode much more than the first two of the season. Maybe it's just that it was Maze, and it was about time we got an episode focused on her. They really need to bring Decker up to speed. It sure seemed like they realized they were in danger of overplaying her ignorance when they seemed to be wrapping that arc up at the end of last season. But now we're back to the status quo and for no reason. It is becoming quite stale. I don't know. The tone of Decker's continuing ignorance seems to be changing. It seems to have gone from Lucifer not wanting to tell her he's totally serious to her not wanting to hear about it regardless of the truth. Even if Lucifer told her, she wouldn't believe it, hence his consternation at his Devil face not working earlier in the season. If only Lucifer knew someone else who also has divine or infernal powers and whose powers are not affected by proximity to Decker. Yeah, that's the one that's bugging me. Angel wings are a perfectly viable form of concrete proof that you are not an ordinary human with weird delusions. That said, I really enjoyed this episode. Maze carried it easily. We also got to see Trixie who had been noticeably absent, which made me a bit worried the kid who plays her had gotten too old to do it anymore. But nope! She was just as adorable as ever. Trixie is so adorable she makes me wonder if there are parents who watch adorable kids on tv and feel bad because their own kids are not that adorable. I have no kids, myself, but I watch her and sometimes think, "Well, maybe if I could get THAT one..."